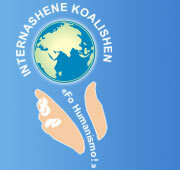 The VIII conference of the International Coalition "For Humanism!" took place on May 1-2, 2004 in St. Petersburg, Russia. The conference of the Coalition was entitled "Overcoming the Global Crisis: sociopolitical, spiritual-psychological and theological aspects" and addressed to all the people who realize that the consumer individualist civilization is nowadays in an extremely dangerous crisis which threatens the future of Humanity, and that humanist transformation of society is badly needed. The representatives of many universities and scientific research institutes, various organizations and funds had been informed about the coming conference. The advertising announcements had been placed in the mass media of Russia and CIS States. Unfortunately, the idea of the conference did not have a broad response, which seems to be another sign of a deep crisis in society and insufficient understanding of the acuteness of the problem by our contemporaries. However, we believe that the reaction we got from like-minded people from various regions of Russia, CIS States and other countries, the experience of the information campaign, and the results of the very conference make a good basis for the work of the Coalition during this year. We are currently in the planning stages for the next conference, which we anticipate to be held on the same date next year. Generally the conference was a success. We were happy to meet many of the participants of previous conferences and to get acquainted with more like-minded people. More than 20 declared reports were presented, and some spontaneous reports appeared in the course of discussion. The key-note of the conference was the report of Sergey Semenov, the ideological leader of the Coalition ("The System Crisis of the Modern Civilization and its Overcoming"). The speeches of other participants from St. Petersburg (Vladimir Bogomolov, Konstantin Kondratyev, Dmitry Ivanov, Alexey Elistratov, Viktor Limarev, and others) were also of much interest and importance. The public showed great interest in the speeches of Wolfgang Fischer, Germany; Satheesan Kochicheril, India; Dhan Bahadur Lama, Nepal; Ted Trainer, Australia. The general opinion of the conference is that the named theme was covered quite fully. It is not surprising, as the Coalition unites people of various professions, ages, and nationalities. On the whole, the conference proved to be useful and interesting. The conferences of the Coalition should be held on the annual basis again. The conference materials are to appear in print and on the site of the Coalition. The moral codex of a politician is to be worked out. An Internet Project is to be created for finding ways of transition to a new type of civilization which would exclude the principle of individualist profit-seeking. The work on the recreation of the Humanist Party of Russia (HPR) should be started.